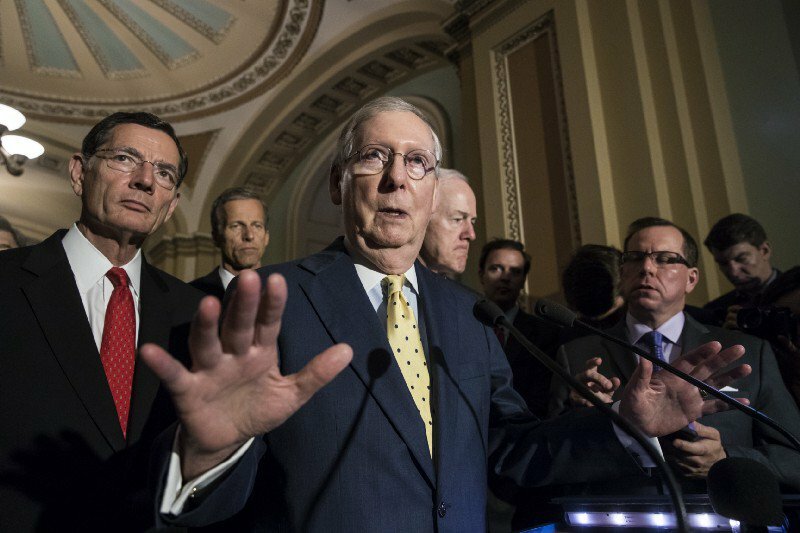 The effort by congressional Republicans to repeal and replace Obamacare hit a major roadblock last week, as GOP senators on the left and right sides of the caucus declared their opposition to majority leader Mitch McConnell’s latest proposal. It is hard to blame them for their unease. Obamacare was a hodgepodge of half-measures and false starts, but compared with the GOP alternatives it looks like a masterpiece of symmetry and sophistication. There is a natural inclination to blame particular individuals for this failure. Many theories abound. McConnell did not write a good bill. Conservatives like Mike Lee and libertarians like Rand Paul were unwilling to take half a loaf. Moderates like Lisa Murkowski were unwilling to follow through on the promises they made when Barack Obama was president. And so on. Without discounting these theories, it is important not to overlook the bigger picture. Namely, the GOP has proven itself over the years to be a poor vehicle for entitlement reform. While the party can generally be relied upon to oppose the statist ambitions of liberal Democrats, it still lacks “the vision thing,” as George H. W. Bush famously put it. The Republican party does not have a clear, salable view of what entitlements should do in our society, or how they should do them. Little wonder, then, that the effort to offer an alternative to Obamacare has been mostly incoherent. Our entitlement system has at least four major defects. First, benefits flow to people who really should be able to take care of themselves. This was a key complaint about the Obamacare expansion of Medicaid, whose initial purpose was to supply a backstop for the indigent and their dependents. Similarly, Medicare and Social Security were created when seniors were the most impoverished age cohort; now the oldest Americans are also the wealthiest, yet their benefit levels have increased over the years.